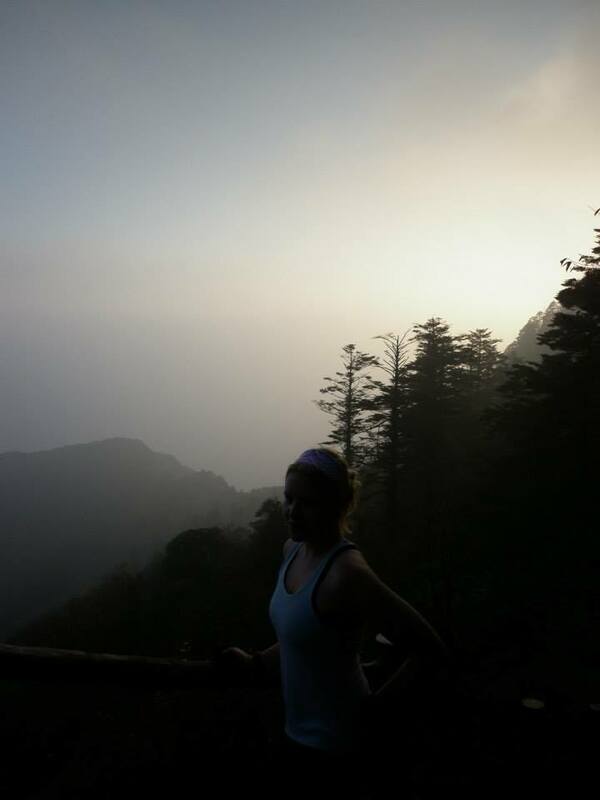 We took the challenge and decided to hike the mighty Emei Shan. The mountain is one of the four sacred Buddhist mountains in China and the highest one of them being 3099 meters asl. If you want to do it easy way you can take a bus and a cable car to reach the top, but we wanted to do this properly. The Only way to find some true wisdom from this ancient Taoist mountain was definitely to hike the“10 000 steps to heaven”. So we packed our small backpacks and left Chengdu with an early morning bus. 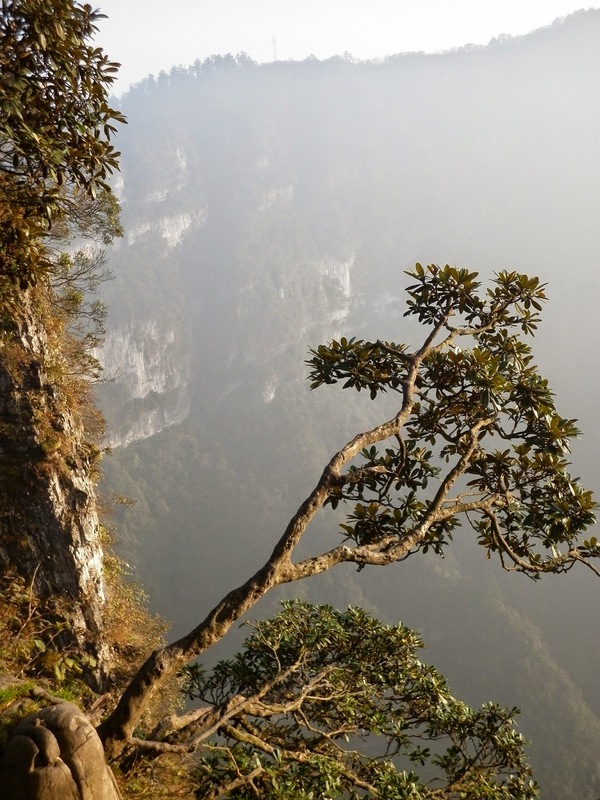 Emei Shan is one of the UNESCO’s World Heritage Sites. The mountain is stunning. It’s steep and it’s tough. Its literally steps to heaven since an old pathway of staircases after each other is built to reach the summit. Steps up the mountain were mostly well maintained. I felt wrecked when we reached the Xixiang Chi monastery in the evening. 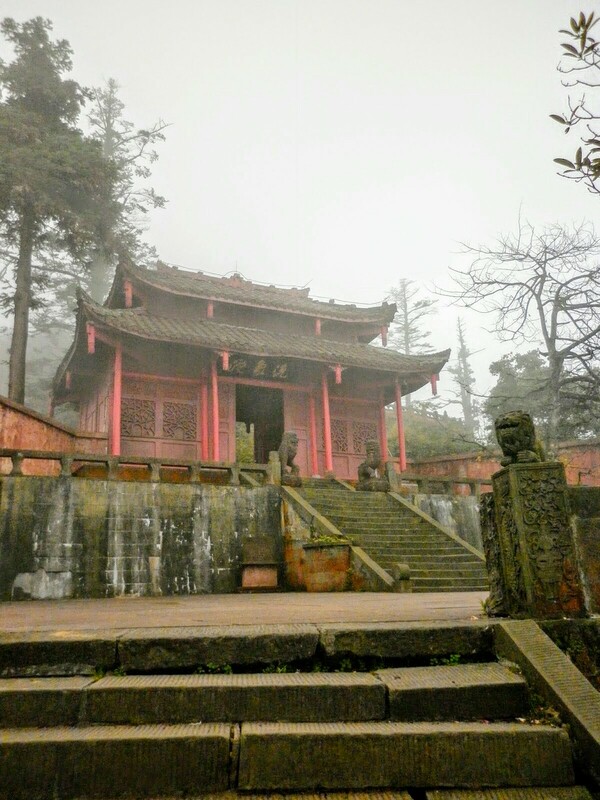 On the way, we saw some beautiful Buddhist and Taoist monasteries and temples not to even mention the stunning views. Climbing the ancient steps all day left me hungry and my clothes wet with sweat. My muscles were aching and I was steaming because of the chilly evening. But it felt so good to reach the monastery, we honestly almost lost our hope on the way and thought we will have to sleep in the bushes. The vegetarian meal the monks offered was delicious and it was plenty. I was so hungry though I think I could have eaten anything. We slept in a simple dormitory room, but there were no other travelers. Luckily we were provided electronically heating blankets cause the temperature dropped down a lot during nighttime. The facilities were modest and a garden hose at the back yard served as a shower. It was a freezing cold shower or no shower at all. Nevermind, we were ready to bed pretty much after dinner. We left before the sunrise. Good thing we had flashlights so we didn’t fall off the steps. It was pitch black. After an hour or so the sun started to rise and the misty mountain showed itself. It was breathtaking. The route got a little bit easier towards the end and it wasn’t just all steps. With the sun came the cheeky monkeys out of their hideouts. My feet felt lighter. We reached the summit in a couple of hours. Physically one of the toughest treks I’ve done, but nevertheless it was rewarding beyond limits. Visiting the old monasteries on the way and spending a night in one was a very special experience which I will surely remember.